Physical Description Handsome, well-built. In good physical shape. Usually goes clean-shaven. General Overview Jake is friendly, good-natured, and funny. He says what he means, though as he's gotten older he's learned when to keep his mouth shut. He usually tries to keep the mood light, but in times of extreme danger or crisis he can become serious and extremely focused, a trait he picked up during the war. He can be fiercely loyal to his family and friends. *Additional Education: Little formal education until entering Starfleet Academy, but he spent his entire childhood aboard a mining ship, so he is well-versed in day-to-day starship functions and maintenance, as well as some experience with asteroid mining techniques. Also, he’s spent a great deal of his life in space, so he’s got some experience with strange, deep-space phenomena. Strengths & Weaknesses Jake is a very talented engineer, with a knack for improvisation and quick thinking. He's physically tough, but the war made him lose his taste for fighting. Jake sometimes doesn't know when to shut up, though he's getting better at this with age. Also, Jake's loyalty to family and friends can sometimes trump his sense of duty. Jake doesn't talk about it, but the war affected him more than he wants to admit. Personal History Born aboard a mining ship, Jacob Crichton didn’t even set foot onto a planet until he was 5 years old. His early years were spent aboard various mining stations, aboard asteroid-mining platforms, or on his home, the mining-freighter GOLDEN TOUCH. Because he didn’t go to school, Jake did not have a very normal childhood. There were no other children his age aboard GOLDEN TOUCH (which had a standing crew of about 22, most of them men in their mid-to-late 20’s, with a few older, experienced miners rounding out the crew), and he was never aboard a space-station or mining platform long enough to make any long-time friends. Thanks to this upbringing, Jacob very early-on developed the personality of a cocky, hormone-driven young spacer, complete with the coarse language, brash attitude, and macho behavior. At the age of 15, he got into a fist-fight with one the miners aboard GOLDEN TOUCH, a 28-year old miner, over a hand of poker. Crichton’s proficiency as an Engineer was noticed at an early age. His mother, the Chief Engineer aboard the GOLDEN TOUCH, often carried the infant Jacob in a sling across her chest as she went through the day-to-day system modifications and repairs. At the age of 6, Jake began assisting his mother on some rudimentary repairs, and very quickly noticed Jake’s apparent knack for fixing things. By the time Jake was 15 years old, he knew the GOLDEN TOUCH’s systems inside and out, and had even made several major modifications to the ships systems, upgrading it’s scanners, shields, and propulsion. Jake’s father made him an official member of the crew upon Jake’s 16th birthday, and he spent the next two years as the finest Engineer aboard the ship. Crichton’s interest in Starfleet was first piqued when he was 12 years old. The GOLDEN TOUCH came under fire by a group of Ferengi raiders, hoping to steal the valuable minerals packed in the ship’s cargo-bays. Although the GOLDEN TOUCH had some basic defenses, they were no match for the more powerful Ferengi ships. Just when all seemed lost, a Federation vessel arrived on the scene, disabling one of the attacking ships and chasing off the others. After that, Crichton and his family were asked to beam over to the Federation ship to give witness statements against the Ferengi raiders, so that they could be prosecuted. This was Crichton’s first time aboard a Federation vessel, and he was amazed at the level of sophistication and technology the ship boasted. It was then that Crichton promised himself he would one day serve aboard a Federation vessel. On Crichton’s 18th birthday, he transmitted his application to Starfleet Academy. When his father found out, he was furious, having expected Crichton to remain aboard the GOLDEN TOUCH and go into the “family business”. He and Crichton had a heated argument, which ended when notification came back from Earth, informing Crichton that he had been accepted. He and his father did not speak another word to each other, until the day Crichton disembarked aboard a space-station, waiting for a transport back to Earth. On that day, his father only said one word to him: “Goodbye.” Their relationship remains strained, and even when they see one another, they find that they have very little to say to each other. Crichton’s early years in the Academy did not go well. Although he had good grades, as well as exceptional marks in Engineering classes, he was a discipline case. He often argued with instructors when they gave him grades he didn’t agree with, repeatedly ignored orders and instructions on simulated missions (with varying degrees of success… his instructors did note that Crichton only disobeyed orders when he thought he saw a better way to do things, and there were many times when it turned out Crichton’s course of action did work better), and was frequently in conflicts with other cadets. Crichton’s “hyper-macho” upbringing made him unable to back down from challenges or conflicts, and more than once he was punished for getting into physical altercations with others. Crichton’s career in Starfleet looked like it would end before it even began. In the middle of his second year, Crichton was given a choice: clean up his act, or be washed out of the Academy. He was placed on academic probation and told that any more mishaps would mean his immediate removal from classes. 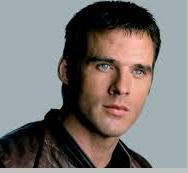 Crichton made a concerted effort to change his ways, and managed to make it through the remainder of his Starfleet career without getting into any more fights. According to his instructors, Crichton’s attitude showed marked improvement, and his ability to lead by example caught the attention of ACT recruiters. During this time, his grades also dramatically improved, and by the end of his time in the Academy, Crichton was offered a spot in the ACT course. Crichton’s first assignment was aboard GATEWAY Station. He arrived on the station as a young cadet, eager to begin his Starfleet career. However, shortly after Crichton’s arrival, the Bajoran wormhole closed, stranding GATEWAY Station and its residents far away from the Federation. In the months that followed, Crichton was forced to grow up very quickly, and quickly established himself as a skilled engineer and senior officer. After the wormhole reopened, Crichton received a commendation for his service during what has become known as the Battle of GATEWAY, which marked the reopening of the wormhole and the start of the 2nd Dominion War. There is a duplicate of Jacob Crichton, a being from the so-called “Mirror Universe”, a dark reflection of the galaxy as we know it. This man, also named Jacob Crichton, was a prisoner aboard a ship called the BFOV SHIV, led by the mirror-version of Daisy Davidson. The mirror-Crichton had been there for years, forced to use his skills as an engineer under the threat of torture by Davidson, who had gone so far as to cut out his left eye as punishment for his insubordinate attitude. Though the SHIV was captured by GATEWAY Station, with the entire crew taken into custody, the mirror-Crichton was given a reduced sentence after he agreed to help the real Jacob Crichton, who was trapped aboard the SHIV as it threatened to self-destruct. The two Crichtons communicated via the comm-system, and the mirror-Crichton was able to lead Jake to finding a way to beam off the ship before it exploded. However, the mirror-Crichton later explained that his reasons for helping had nothing to do with compassion- he only wanted to reduce his sentence. He even went so far as to accuse Jake of being pathetic, claiming that as far as he was concerned, the two of them have no connection at all. The mirror-Crichton is the same approximate age as the real Crichton, and except for the mirror’s missing eye (which he now usually covers with an eyepatch), the two are identical in every way. On Stardate [2.8]0901.1512, Crichton was possessed by an entity known as Thoralas, a representative of a race known as the Durali. According to Thoralas, the Durali survived their own extinction by transmitting their collective consciousness into a spiritual plane which they referred to as the Abyss, with plans to eventually return to their physical bodies. However, their stasis in the Abyss landed far longer than they expected (millions of years longer, in fact), and they were forced to find other physical forms to inhabit. Thoralas, however, had been driven mad by his time in the Abyss, and when Crichton’s personality made attempts at reasserting himself, Thoralas put Crichton’s body into a coma and attempted to trap Crichton’s consciousness forever in the Abyss. Rescue came in the form of Xana Bonviva, who entered Crichton’s mind by using an experimental medical procedure. Together, they were able to defeat Thoralas and destroy him, but in the process, Jake and Xana’s minds were linked, creating a kind of psychic bond the persists to this day. It’s not true telepathy, but Jake can sense Xana’s emotions, and is occasionally given visions of her when she is under extreme stress. The reverse is also true- Xana can feel Jake’s emotions and is occasionally given visions of him as well. Of course, this bond, as well as their experience in the Durali Abyss, made Jake and Xana grow very close, and the two of them fell deeply in love and were eventually married. They had a son, Benito William Bonviva-Crichton, whom Crichton affectionately called "Benny Bill". The Dominion War was hard on Jake, as it was on everyone. The loss of friends and loved ones, as well as the necessity of violence against others, were the crucible that forged Jake into the man he is today. He's still friendly, still funny, but he has an edge now that the younger Jake didn't have. Jake doesn't like violence and would rather back down than fight, maybe even at his own expense. However, Jake remains fiercely loyal to those he cares about or those under his protection, and if pushed he will defend them with decisive- and, if necessary, lethal- action. Jake and Xana's emotional bond linked them together strongly, but it didn't differentiate between positive emotions and negative ones. The extreme stress of the war, the attrition of a thousand desperate fights, and the months of fear, anger, and loss eventually took their toll. After the war ended, and shortly after the birth of Benito, Jake and Xana separated. Xana took Ben with her back to Earth while Jake transferred to the deep-space exploration vessel USS SHERWOOD. Though technically still married, they have not seen each other in person for some time. They stay in touch for Ben's sake, via pre-recorded messages or long-range communication. Their bond still links them, though it is weaker due to the physical distance between them and because they have each made a conscious effort to shut the other one out. It never goes away completely, though, and Jake thinks of Xana often when he is alone with nothing to distract him. Jake still loves Xana, but their emotional bond brought them equal parts pain and joy, and the two feelings became too hard to separate, especially during and immediately after the traumas of the Dominion War. Crichton has always been more comfortable aboard in space. He doesn’t really think of Earth as his “homeworld”, because he never set foot there until he first arrived to attend Starfleet Academy. Before that, the longest Jacob spent planetside at any one time was a little under one month, so he doesn’t think of himself as even having a homeworld… for him, space is his home. He has a strong affinity for deep-space; like sailors of the ancient sea, Crichton has often thought that planets just don’t “feel right”, and usually longs to get back to the stars. Seeing the sights is fine, but Crichton’s got no intention of settling down on any planet… if he has his way, he’ll eventually retire from Starfleet and build his own ship, and spend the rest of his days seeing what the galaxy has to offer. Crichton isn’t very fond of his first name. He likes to go by Crichton generally, but he’ll let his friends call him Jake. Nobody calls him “Jacob” except for his mother and Xana, when she was angry with him (or just feeling playful).